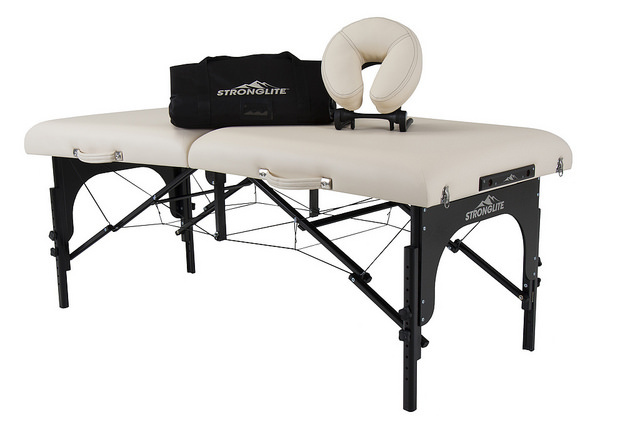 Confidence, Comfort, Convenience and Beauty put the Stronglite Premier Portable Massage Table at the top of its class. The Premier massage table can be used for most modalities and is especially recommended for deep tissue work or vigorous styles such as Thai massage, sports massage, and rolfing. 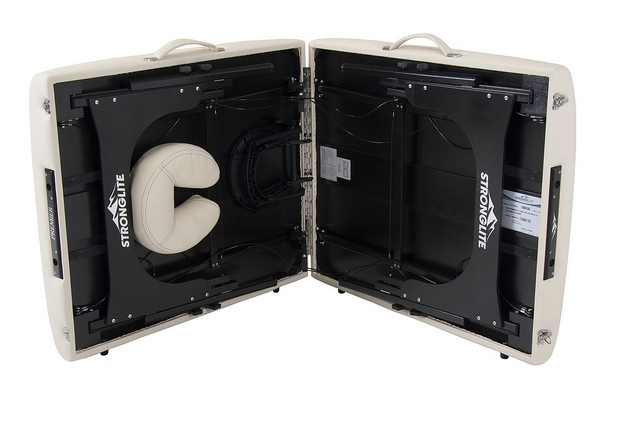 The Power Lock Support System is the strongest on the market. 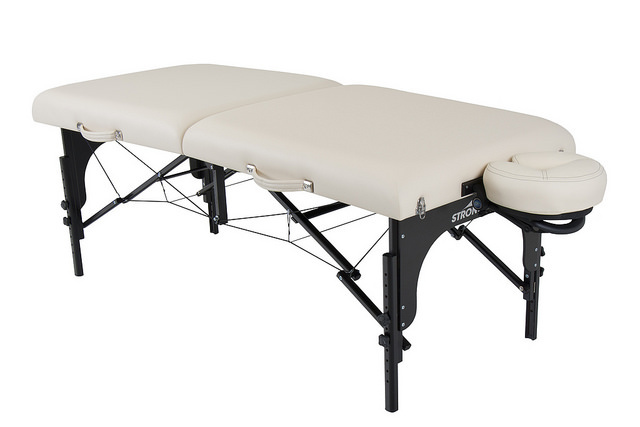 The Center Beam reinforced table top lets you work as vigorously and deep as you want. 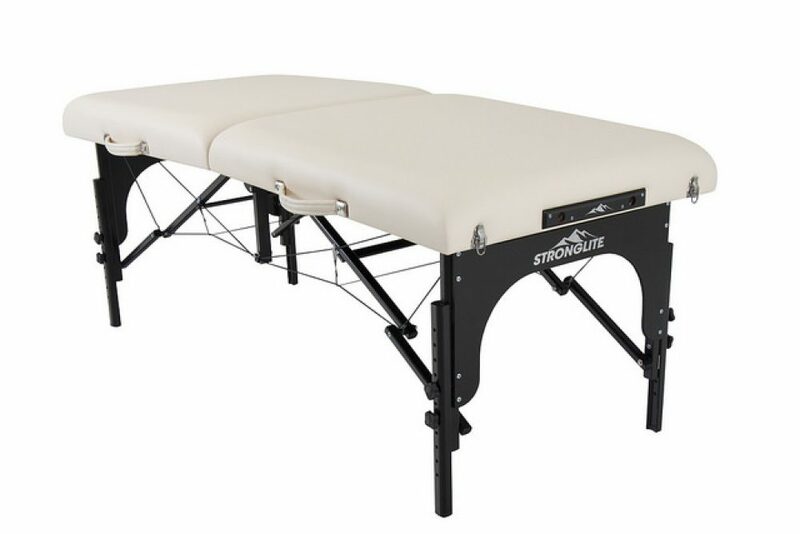 The beautiful Espresso finish on the frame is standard for a spa quality appearance. 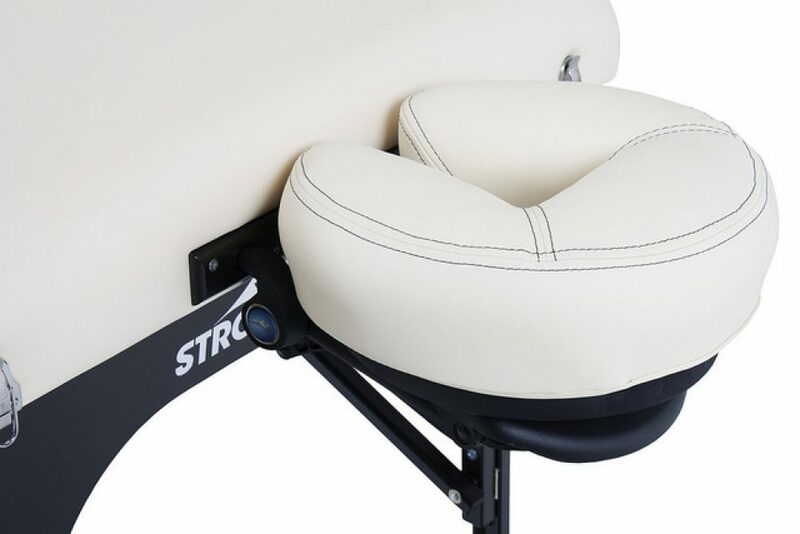 • 100% PU NaturSoft upholstery in 5 standard colors Agate (Mystic Blue), Vanilla Cream, Sterling Silver, Black, and Teal. Additional upholstery options available – call for info.